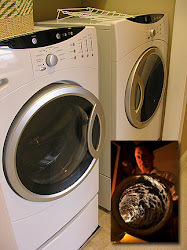 Fort Worth TX: The Fort Worth Dryer Vent Cleaning Wizard celebrates a great year making clothes dryers safer and greener. Charles Espinosa, owner of Dryer Vent Wizard has made quite an impression on area residents and business owners. The Wizard provides an important home service while educating consumers about dryer fire prevention and energy savings. 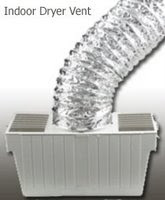 Dryer vent cleaning improves dryer performance to speed up drying time and save energy. 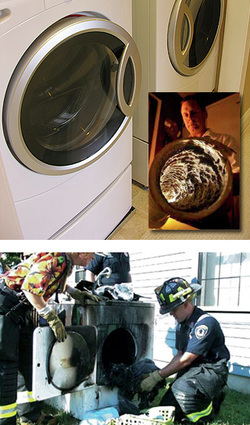 Dryer vent cleaning is the best way to prevent dryer fires and increase dryer life. Charles Espinosa will personally contact his customers every year or two to remind them that service is needed to ensure clothes dryers operate safely and efficiently. The Wizard only services dryer vents, so he is the expert people rely on to ensure a safe and efficient dryer vent system meeting current safety standards. Though many companies specializing in appliance repair, carpet cleaning, chimney sweeping, HVAC maintenance and others also offer dryer vent cleaning service (as an afterthought of their business), the Wizard recommends leaving this up to the experts who specialize in dryer exhaust issues. Dryer Vent Wizard (http://ftworthtx.dryerventcleaningnow.com/) provides commercial and residential dryer vent service in homes and apartment buildings, condos and duplexes; and in businesses including public laundries, pet shelters, hair salons and anyone with a clothes dryer. All dryers require proper dryer vent installation and regular dryer vent cleaning service to ensure maximum safety and efficiency. Happy customers say they have noticed a significant savings on their energy bills. Dryer vent cleaning can save homeowners up to $300 per year on utilities while eliminating a fire hazard and preventing several other dryer related problems. Dryer Vent Wizard specializes in dryer vent cleaning service and their technicians are highly qualified to install new dryer vent systems in homes and businesses. Charles Espinosa serves residents and business owners in the Central Dallas and Fort Worth area including Dallas, Collin, Denton and Tarrant Counties. Danger Lurks Behind the Clothes Dryer! Indoor Dryer Vents - Good or Bad?